(NASA ) Earth and Mars shown to scale. Despite those beautiful images of swirling red clouds and sprawling landscapes, Mars is an barren desert that is incredibly inhospitable to life. Indeed, temperatures around minus 67 degrees Fahrenheit, a near total lack of atmosphere to protect from deadly radiation, and regular violent dust storms lead most experts to believe that a human colony on the red planet in the foreseeable future would be very difficult and extremely expensive. And so when a company like Mars One says we can start a human colony on Mars in 10 years with a $6 billion budget, it is laughable. "I don't want to get in their (Mars One’s) way, but I'm skeptical that it can be accomplished on the timescale that they say," Neil deGrasse Tyson, director of the Hayden Planetarium at the Museum of Natural History and host of the new National Geographic show StarTalkTV, told Business Insider. Mars One doesn’t own any of its own space travel technology and has no existing contracts with companies that do. It plans to send four people at a time to start setting up a colony, and it plans to finance these missions through a reality TV show starring the colonizers, but no broadcast partners have been announced. “It looks like a scam,” John Logsdon, a space policy expert at George Washington University, told BuzzFeed News. Mars One is a private nonprofit company with a planned mission to set up the first long-term human colony on Mars by 2025. It plans to accomplish this by first sending a communication satellite and a rover to start setting up an outpost and then sending humans in groups of four to live on the planet. This would be a one-way trip, with no possibility of volunteers returning to Earth. It's been about two years since Bas Lansdorp, cofounder and now CEO of Mars One, announced the plan to colonize the red planet. In that time, more than 200,000 people have applied. (Though the 200,000 number is under contention. Other publications have reported far less, and Lansdorp has done little to clear up the confusion). Either way, Mars One has narrowed the pool of applicants down to 100 people — "The Mars 100." The company is planning on paying for this incredibly expensive mission using sponsors, donations, and creating a reality TV show starring the first colonizers. 2015: The top candidates start training, and Mars One will choose 24 that it will send to Mars. 2018: A demo mission will launch that will put a stationary lander on the planet and put a satellite into orbit that is capable of transmitting messages between Earth and Mars. 2020: A rover is sent to Mars to scout out the best spot for a human settlement. 2022: Supplies are shipped over, including two living units, two life support systems, and a supply unit. 2023: The rover collects all those supplies and gets the outpost set up and ready for humans. 2024: The first four Mars colonizers leave Earth. It'll take about six to eight months to get there, and they'll land in 2025. (Mars One) The problem? Almost none of this technology exists yet. And that's just the first hurdle. Below are all the reasons Mars One is never getting off the ground. 1. The budget is way too low. Mars One plans on pulling this off with $6 billion. At face value that may sound like a lot. But to put it into perspective, last year a panel from NASA said that a manned mission to Mars could probably become a reality with a budget of somewhere between $80 billion and $100 billion. NASA’s plan to use the Orion capsule to send humans to Mars in the 2030s is probably technically feasible, but NASA's budget has continually been slashed, so a NASA mission is not likely on the horizon either. In all fairness, Mars One plans on keeping its costs down by outsourcing all the technology development. "All equipment will be developed by third-party suppliers and integrated in established facilities," the company writes on its website. 2. Even with such a low budget, Mars One probably won't be able to raise the money in time. Mars One won't need $6 billion up front, but the company failed to meet its Indiegogo campaign goal of $400,000 last year — a campaign that was supposed to help pay for the 2018 Mars lander. Even SpaceX, another private company interested in space travel, has only raised around $1.2 billion, according to Quartz, and it's been around a lot longer than Mars One has. As of February 28, including the Indiegogo campaign, the total amount of donations Mars One has received is about $759,816. That’s a little over 0.01% of its $6 billion budget. But Lansdorp remains tirelessly optimistic about the securing the money, and he says there are no plans to rethink the timeline. "We have very good interest for our upcoming [investment] round and are not worried about our financial position," Lansdorp told Business Insider in an email. (NASA) This is an altitude map of Mars. The company seems to be banking on the revenue from a proposed reality TV show that would document the finalists' training, preparation, and voyage to Mars. And people will be dying to watch a group of hopefuls vying for a shot to colonize Mars and then struggle to survive in an inhospitable alien world, right? Well, it's not a good sign that no media corporation has purchased the exclusive broadcast rights that Mars One offered on the finalists' video interviews. (The Guardian) Ryan is a UK-based physics student and is one of the "Mars 100." And those video interviews with the finalists make some of them seem wholly unprepared for what they're getting themselves into. "In the next decade, about four billion people will have access to video images," the company writes in its business model description. "Mars One expects that virtually every one of them will watch when the first humans land on Mars." The company cites the Olympics as a business model which, between broadcasting, sponsors, and ticket sales, brought in around $8 billion between 2009 and 2012. But one has to wonder how interesting a Mars colony reality TV show would be anyway. Presumably these candidates will be doing some serious training over the next decade to ensure they survive when they arrive on Mars. That probably means they'll be doing a lot of very technical and very boring work inside small living spaces. It's questionable how much entertainment value that would have — unlike sporting events that have been successfully drawing huge audiences since their conception. 3. A relentlessly optimistic (AKA unrealistic) timeline. Even if Mars One does raise enough money to make this mission happen, landing humans on Mars within 10 years seems overly optimistic at best given the current state of rocket and human spaceflight technology. (NASA/JPL) The shortlisted candidates are supposed to start training this year so the company can further narrow down the colonizers, according to Mars One's official timeline, and the finalists will continue training over the next decade up until the launch. "We want to select six groups of four to become employees — our astronaut corps — by the end of this year," Lansdorp said. However, Mars One has yet to announce a location for the finalists' training. But Lansdorp assures us everything is still on track. "We're in negotiation with several locations that would like to host our training outpost," Lansdorp writes. "We hope to use the training outpost already after the summer." Still, 10 years just doesn't sound feasible. NASA's more reasonable-sounding timeline has goals of sending humans to orbit Mars by the 2030s and sending humans to explore the surface in the 2060s. Elon Musk, CEO of SpaceX, has said that by the end of the year he will announce his own timeline for a mission to Mars. 4. The technology to keep these people alive on Mars doesn't exist. After reading analyses of the mission, it sounds like Mars One could find itself playing a tragic and losing game of Oregon Trail, only in this case, real human lives hang in the balance. The settlers will be living inside a system of sealed pods, but they'll need life support devices to make sure there's enough oxygen. According to an MIT study that analyzed the tech that Mars One plans on using, the bottom line is that the first settlers would suffocate within 68 days because the equipment would not be able to balance oxygen levels in the pods. The so-called MIT report was actually written by a few undergraduate students. They have made very incorrect assumptions about our mission, which basically resulted in a completely different mission to Mars with, honestly, a very bad design. Of course such a badly designed mission will result in all kinds of issues and higher cost. The result of our life support supplier Paragon Space Development Corporation is coming out early March. Because of the superior design of Paragon, a company that has built life support systems for decades, none of the issues mentioned in the students [report] arise. But one of the most worrisome nuggets from the MIT analysis reads: "While there is some reference to existing technology within the Mars One mission plan, a survey of the current state of the art indicates that many of the technologies that would likely be employed on such a mission are not currently ready for deployment." The study could not directly evaluate the life support systems Mars One plans on using because they haven't even been developed yet. Even the living-in-space tech that we already have is designed for the International Space Station which operates in zero-g. There's still gravity on Mars (it's about 40% of that on Earth), so it's likely that existing equipment would not function flawlessly on Mars. Mars One has asked Survey Satellite Technology Ltd. to build the communication satellite it plans to launch in 2018, Lockheed Martin to build the rover that it plans to launch in 2020, and Paragon to build the life support systems for when the settlers arrive in 2025. 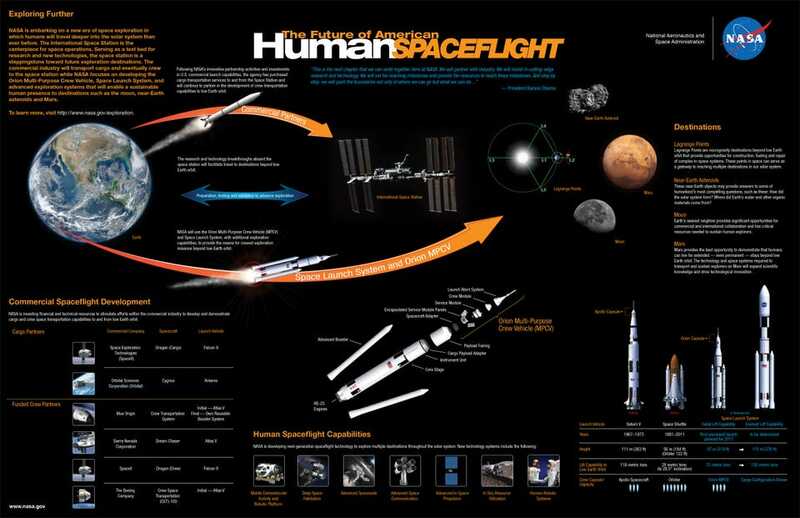 It also plans on using SpaceX’s Falcon Heavy rocket to launch the missions and SpaceX’s Dragon capsule to land on Mars. But those dates aren't very far away and Mars One hasn't finalized contracts with any of these companies. According to an interview at MIT in October, 2014, Mars One has yet to approach SpaceX about using any of the company's rockets or spacecraft. Musk said during a Reddit AMA in January that the SpaceX plan for a Mars colony will feature different transport technology. Lansdorp said the results for Paragon's life support designs will be coming out in March. So we'll stay tuned. 5. There are too many unanswered questions on how to sustain life after we get there. If the Mars settlement ever hoped to grow 100% of its own food instead of relying on constant and costly resupply shipments, the crops would produce unsafe levels of oxygen within the living pods. So the settlers would need an oxygen removal system — something that also hasn't been invented for spaceflight yet. That same MIT study also estimates that at least 200 square meters of crops would be needed to support humans in space. The Mars One mission in its current state as only allocated 50 square meters. Further, only a handful of plant experiments have ever been conducted in space, and there's still a ton we don't know about growing crops in space or in low gravity. (NASA) Lettuce growing on board the International Space Station. 6. We have no idea what happens to humans who spend a really long time in space. Even if Mars One secures all the funding it needs, even if all this technology is invented, and supply issues get sorted out, we have no idea how long-term space travel influences the human body. This year NASA will send astronauts to the ISS who will be the first humans to live in space for a consecutive year. The trip to Mars alone will take at least seven months. Living in zero-g can stretch out our spines, turn our muscles into jelly, and mess with our immune systems. No one knows what permanently living in an environment with less than half of Earth's gravity and with no source of vitamin D from the sun would do to us. Bottom line: Mars One has a lot of people excited, but the odds are stacked against it. Still, some people have argued that this mission is not just about feasibility and whether it really will happen in 10 years. It's more about the pioneering spirit of the human race and inspiring people. "There's so much that comes out of an effort like this," one of the 100 Mars One finalists Sonia Van Meter told Jezebel. "It is expensive, but the glory behind space exploration is that it inspires people." Even though it's unlikely that Mars One will be the company to get us to Mars, that doesn't mean we should stop trying. During a Reddit AMA, Casey Dreier, director of advocacy for the Planetary Society, said we need to think a little smaller first. "We talk a lot about humans on Mars, but I think we need to talk more about humans around Mars as a first step," Dreier wrote. "I don't know about you, but seeing astronauts float a few hundred kilometers off of the surface of Mars would be one of the most exciting events of my lifetime. There's still significant risk and technical issues to work out for getting people near the surface, much less on it, so I'm all for examining this option more."